Deaf Centre Manitoba Inc.: Canadian Association of the Deaf (CAD) Townhall- March 29th! Canadian Association of the Deaf (CAD) Townhall- March 29th! 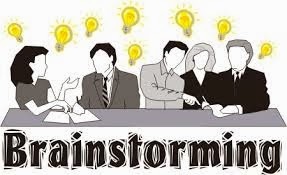 Purpose for CAD Townhall Meeting: This is to obtain feedbacks, inputs and brainstorming sessions from Deaf Canadians on what they want to see CAD to change for the future. Also, it will discuss about restructuring CAD and the social enterprise and the advocacy for Deaf Canadians. In addition to the CAD Town hall, CAD President will have an opportunity to meet Deaf people in each community across the provinces in Canada and listen to their issues on what CAD should be changed for the future. For more details or information, please contact Jordan Sangalang at manitoba.deaf.association@outlook.com, Gunars Butkans, at gunsbut@hotmail.com, or Doug Momotiuk at dougmomotiuk@shaw.ca. We hope to see you on March 29th.